In 1794 Thomas, Jr., and Hannah Carey transferred a small tract of land at Kirk’s Corner, the intersection of Aquetong and Sawmill roads, to the Buckingham Meeting. 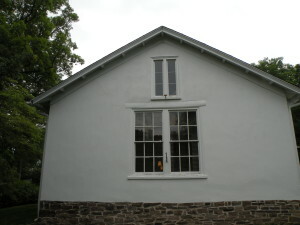 The Quakers operated the Carversville School there until 1861 when the Solebury Township School District took over and enlarged the school. 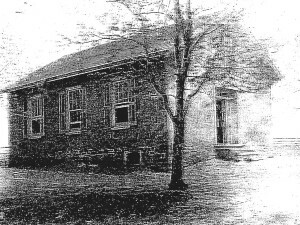 The original school faces Aquetong Road, and the addition is in the rear. 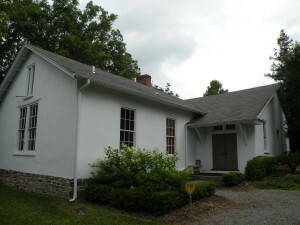 The building was used until 1937 when the schools were consolidated and then became a private residence. 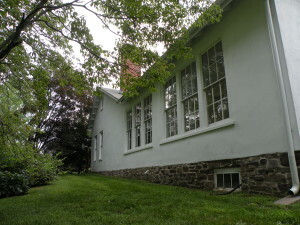 For more information about what a one-room school was like, listen to the oral histories of Maude Cathers who attended two of the schools and was a teacher at the Carversville School.